The flashlight for all those who like to travel lightly. The latest micro lamp LED Lenser K3 is powerful, high tech and bright. The casing is high quality aluminium and the handy keyring attachment means this hard wearing torch is always at hand. The Blue Moon focusing system splits white and blue light; the blue light is projected to the outer edge resulting in a brilliantly pure main white beam. Showing our 2 Ledlenser® K3 LED Torch (Black) reviews with an average rating of Excellent. Would you like to write a review? My husband ordered a bigger torch and this was supplied as a free gift. He gave it to me and having put it on my keyring, I have begun to use it all the time. What a great little invention by LED Lenser with power better than the small size suggests. 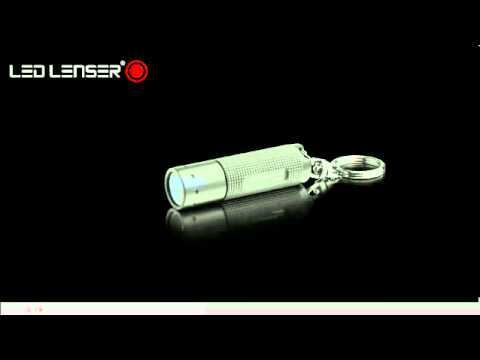 Great compact LED torch by LED Lenser, small enough for my keyring and decent as a backup product. I take it everywhere and use it daily without fail. The metal casing gives a quality feel and the brightness and range of the beam is strong for a small item.